Heat oven to 350°F (325°F for a dark or nonstick pan). Grease and flour bottom and sides of 2 6-cup mini Bundt pans; set aside. Gather the rest of your ingredients. 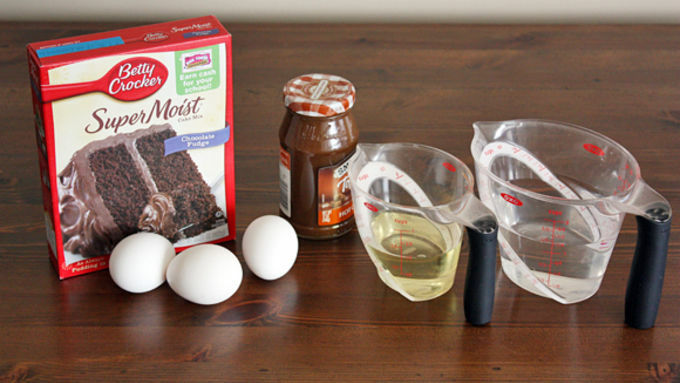 In a large bowl, beat together cake mix, water, oil and eggs on low speed 30 seconds, then on medium speed 2 minutes, scraping bowl occasionally. 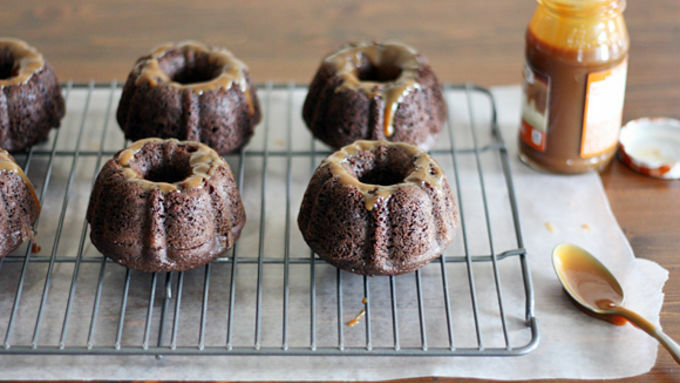 Pour batter evenly into prepared Bundt pan cups. Bake cakes until a toothpick inserted in the center comes out clean, about 20-25 minutes. 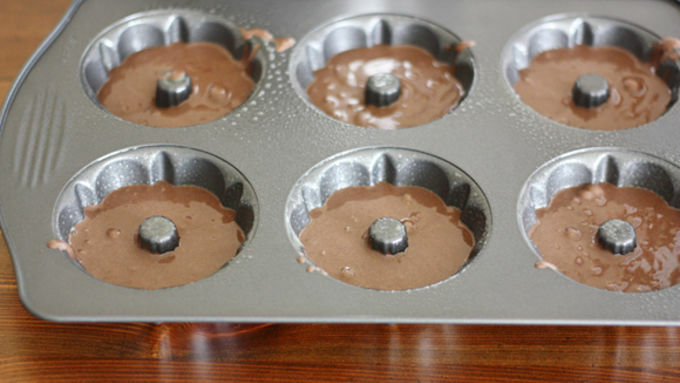 Remove cakes from oven; cool 10 minutes, then invert onto a cooling rack. Using the back of a spoon, poke a few holes in the top of each cake, being careful not to poke all the way through the bottom. Carefully pour about a teaspoon of caramel sauce over the top of each cake; let cakes cool completely and caramel soak in. 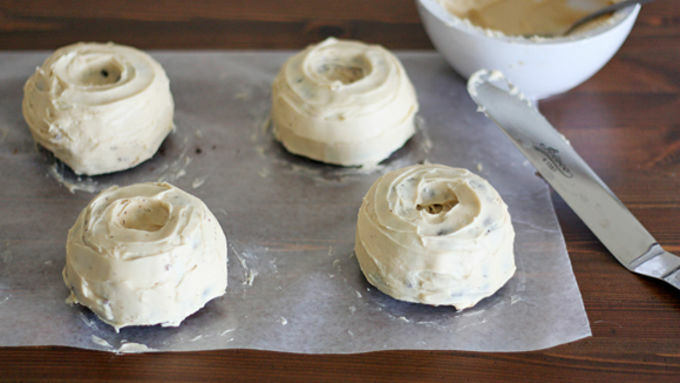 Meanwhile, make the frosting: In a large bowl, cream together butter and cream cheese. Add caramel sauce and powdered sugar; beat until smooth. You may need to add more powdered sugar to get the correct consistency for frosting. Frost fully cooled cakes with frosting. Heat oven to 350°F; place coconut flakes on a rimmed baking sheet and toast, stirring occasionally, until a deep caramel brown. 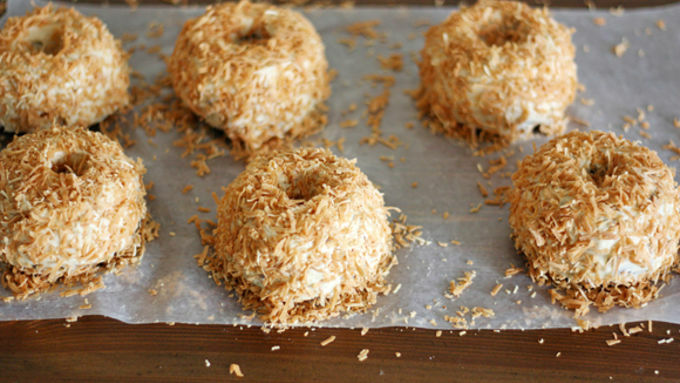 Let cool completely, then use your hands to pat the coconut flakes onto each frost cake; cover completely. Place chocolate chips in a small, microwave-safe bowl. Microwave 30 seconds, then stir; melt another 10 seconds at a time until chips are fully melted. Pipe melted chocolate onto cakes in lines so they look like Girl Scout Samoa cookies. I think it’s safe to say that the only reason I make it through these last days of winter is because I have Girl Scout cookies to look forward to every year. Ever since I was a wee Girl Scout myself (oh I’m totes not kidding) I’ve either been peddling the popular treats or shoveling them into my mouth like a cookie monster. Or both. For many years now I’ve stuck firmly to the camp of the Samoa cookie (or as I first knew them, the Caramel DeLite) and I still believe no cookie can compare. 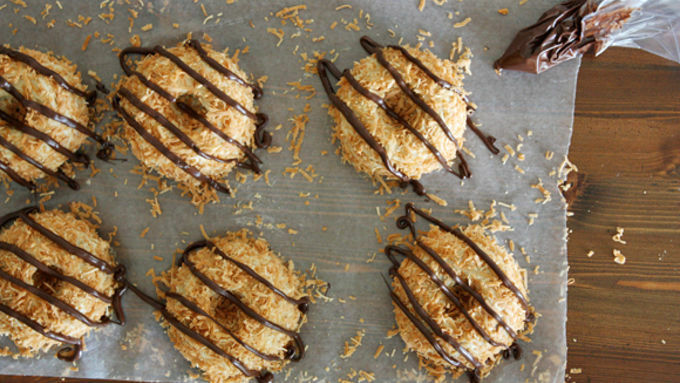 I mean, who can deny that a cookie covered in caramel and chocolate and coconut is nothing short of pure magic? That’s what I thought. Since National Girl Scout Day is coming right ‘round the corner on March 12, we should celebrate – and what better way to do so than with a cake that is shaped and flavored like a Girl Scout cookie? And not just any cake, but mini cakes; and not just any cookie, but Samoa cookies. 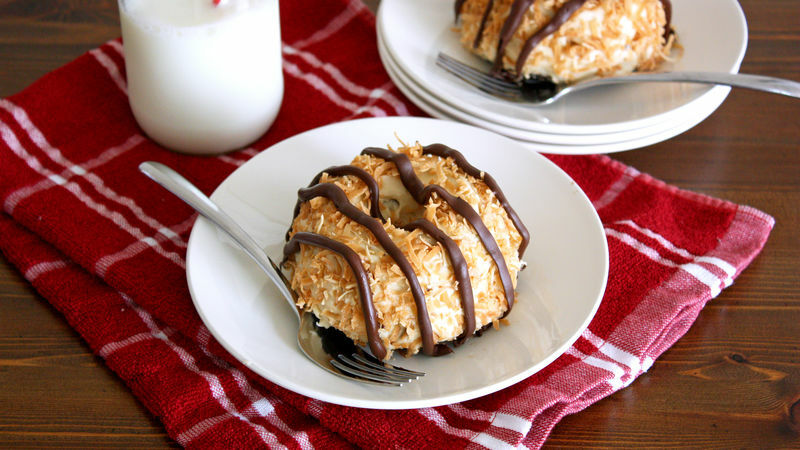 What I’m trying to say is, you need to make these Mini Samoa Bundt Cakes. I suggest eating at least two because these are just as addicting as the real thing. OK fine, three. This is definitely a good way to “make new friends, but keep the old, one is silver and the other’s gold” (aw yeah, Girl Scout songs! ).